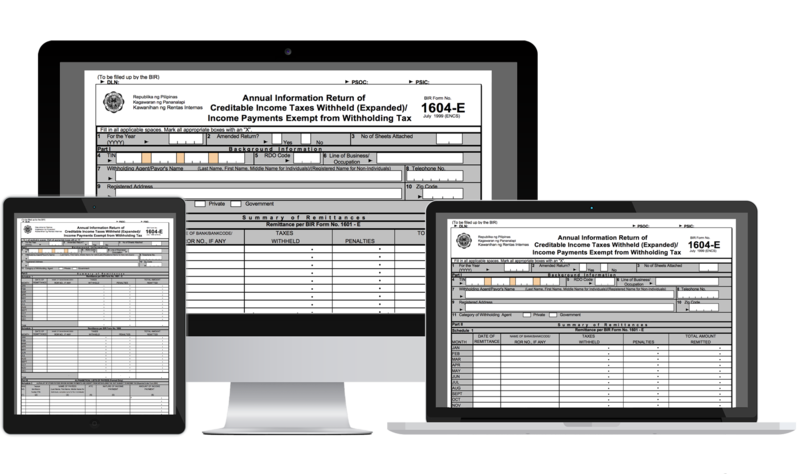 BIR Form 1604-E, or also known as Annual Information Return of Creditable Income Taxes Withheld (Expanded)/ Income Payments Exempt from Withholding Taxes shall be filed by a withholding agent who is required to withhold taxes on income payments which are subject to Expanded Withholding Taxes. 1604E forms shall be accomplished within on or before the 1st of March after the calendar year in which the income was were paid. Please take note that your tax forms will be sent electronically to the BIR until 9pm. Any forms that will be sent beyond that filing deadline will be transmitted within the next business day. To get started, you may visit this article from our Help Center, for you to learn the step by step process in filing this return. Once you have filed your return in JuanTax, you will receive an email both in your (1) JuanTax inbox and (2) Your registered email inbox. Just like any eBIR submissions, date and time of reply is based upon the extent of BIR once they have finished examining the return.